Seth Rogan was on course to becoming a comedy legend. The portly, pot smoking star of “Knocked Up” & “Superbad” had cemented his place at the top of the box office and the hearts of millions. The Vancouver born comedic actor, a founding member of the Judd Apatow comedy clique was known for his roles as the charming, fat goofball who had us rolling in the aisles with his portrayals of an adult stuck in adolescence. Then he lost weight. Hollywood history shows the correct path for Rogan. 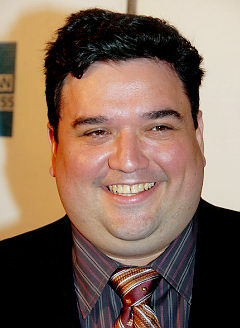 Fat comedic actors are known for being lovable losers who make good. That’s the plot for every fat actor comedy ever made from John Belushi to John Candy to Chris Farley. At first they make the viewers, and the actress clearly out of their league disgusted. As the movie hits the second act make them laugh by falling down, eating a lot of food and comically playing with their bellies. They make a bunch of movies like this, get fatter, and lose the ability to make us laugh. They move into dramatic roles as they are now a sad caricature of their past glory and usually fail. As the career choices become thinner as the fat grows they develop a drug problem and then die due to a heart attack caused by the lethal combination of cocaine, ribs and cake icing. It’s either in a hotel room or outside a club, but the scene of the death is not as important to the career as the death itself. Soon after their death E! produces a true Hollywood story and assorted flunkies and fellow junkies memorialize them as men who were lost comedic geniuses. A now thin Seth Rogan is destined to pursue a long semi successful life. The thin guy is not as funny as the blob. I’m sure his next couple of films will fail and he’ll be forced to choose between packing on the pounds or to star in a Fox Sitcom about a hip father who adopts a couple of destitute Indian kids called Slumdog Daddy. It was nice knowing you Seth.